Whether it’s your primary residence, a vacation property, a business or investment, buying and selling real estate is a big decision. Making sure that you make a well-informed and confident decision with terms that you can feel good about is certainly very important. With all the details that go into the process and the particularities of local markets, having an experienced real estate agent on your side is definitely an advantage. Looking to move or relocate to the Dorado and/or San Juan Metro Area in Puerto Rico? An expert that provides guidance in so many of the other aspects of your lifestyle and can leverage on local networks and resources, is a much-valued intangible. Experience, Experience, Experience! Finding a real estate agent who has the experience to serve as a buyer’s agent or to market your listing effectively is your top priority. The right agent will know how to help you achieve your goal. 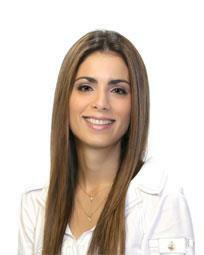 Mariángel has almost 20 years of business and marketing experience with proven success in the real estate industry. She has also lived and worked in Puerto Rico since 1995. If you are looking to buy or sell in the area, Mariángel knows the business and has the experience you need. Take a moment to view our listings, find out more about Mariángel, and explore the HUGE TAX INCENTIVES that make Puerto Rico even more of a great place to live. Or contact Mariangel now and get started today!